We’d love your help. 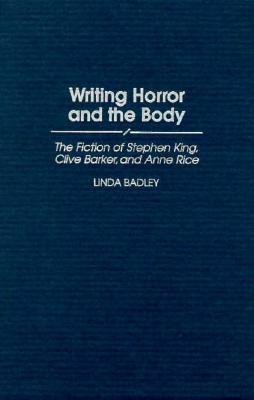 Let us know what’s wrong with this preview of Writing Horror and the Body by Linda Badley. To ask other readers questions about Writing Horror and the Body, please sign up. which the three writers represent the body, physical violence, and gender construction in their work. Much of Badley's analysis deals with gender, sexuality, and feminism theory, which she uses to examine how these three writers deal with such issues and how their work reinforces or contradicts gender and sexual norms. It was not the book I thought it was. More for an English major or Psychology major for viewpoint of Horror/Gothic novels. Does not give much help with "How to" write horror, except for the underlying research information needed for the genre by examining the works of Stephen King, Clive Barker and Anne Rice. I am not completely done reading it at the moment, but this is my review overall so far. I plan to finish the book because Ms. Badley does have some good info on the reviews she's done.